Find your inner Zen with the Pei Table Base. The clean geometric lines add a bit of class while staying clean and elegant. Aesthetically pleasing when purchased in multiples of two (priced online per base) the Pei can accommodate up to a 36" x 72" standard thickness top. 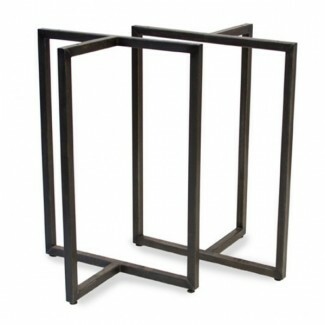 This base is available in our natural iron finish.